Earlier this month, San Francisco Municipal Transit Authority began holding hearings to restrict the use of Google and other companies from using public transit stops for their employee shuttles, and by August will begin charging 1$ per Google bus stop to create revenue for public transportation. This was a result of public outcry and organizing around this symbol of the growing economic inequality and gentrification of San Francisco. 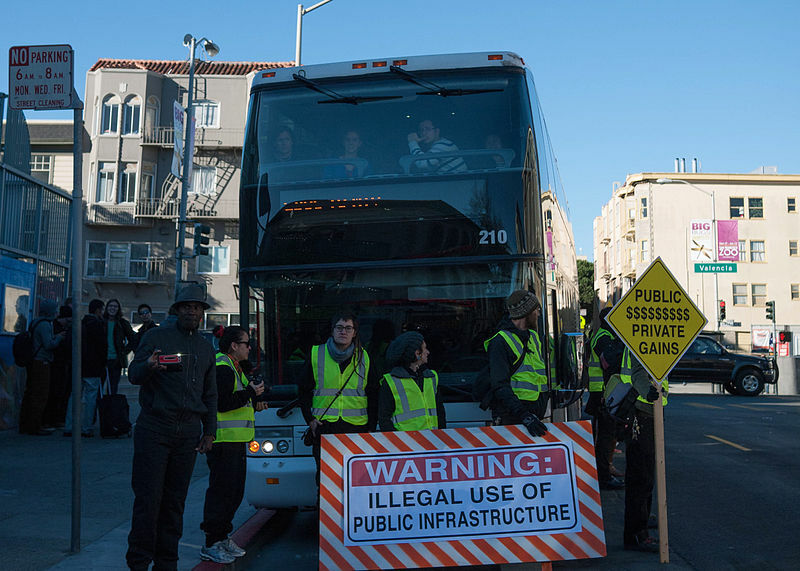 From Smart car tipping to Google bus blocking, San Francisco has become synonymous to gentrification.